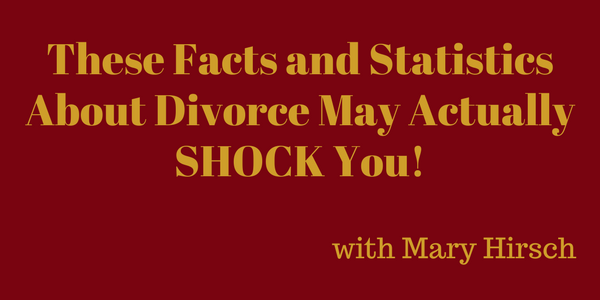 These Facts and Statistics About Divorce May Actually SHOCK You! You probably know that divorce is pretty common and much more likely to happen these days than a few decades ago, right? But do you have any idea how MUCH divorce is going on in the world? Joyce is meeting today with Mary Hirsch. They’ll be discussing several interesting statistics regarding divorce, and also sharing their own personal experiences and their journey afterwards. Don’t miss out!